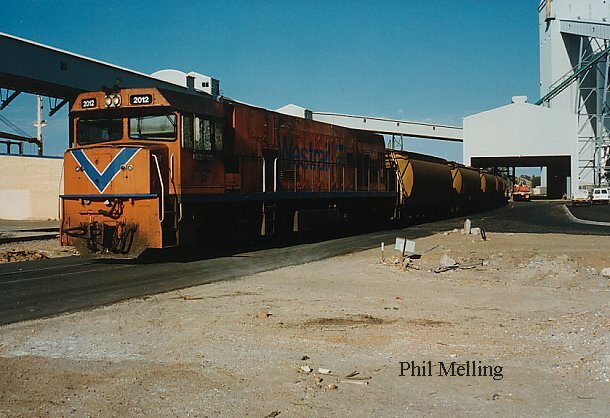 More photos of the rail workings around Geraldton Port in 1993-1994. 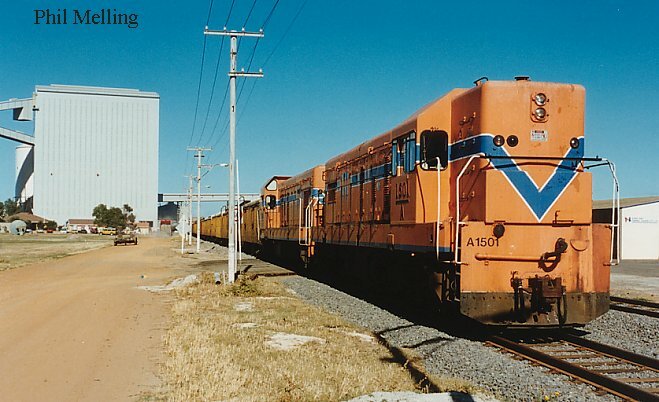 We have included this photo as it features DA1575 on a test train into the new grain unloading point. Interestingly, because there were no bottom discharge grain wagons in the district, 3 XY coal wagons were used for gauging purposes. Photo taken on 27 August 1994. A feature of the method of operations in the early nineties was the need to shunt wagons at the old grain unloading facility at the port. AA1518 is seen shunting a number of talc wagons into the sidings to add empty grain wagons to the consist. It was then common for the talc and grain wagons to be combined in one train for the run to Three Springs and back. Photo taken 17 August 1994. 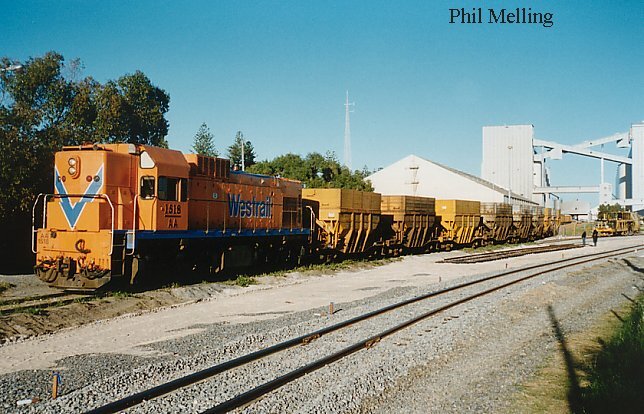 A1501+A1505 load a train of the old RCH grain wagons before heading to Perth. A few days later the new sets of bottom discharge wagons arrived for the new season and the new unloading facility. Photo taken on 27 October 1994. The old unloading point (see top photo)was decommissioned for rail use and the lines removed. The RCH wagons could not be unloaded at the new unloading point, however they could be loaded. 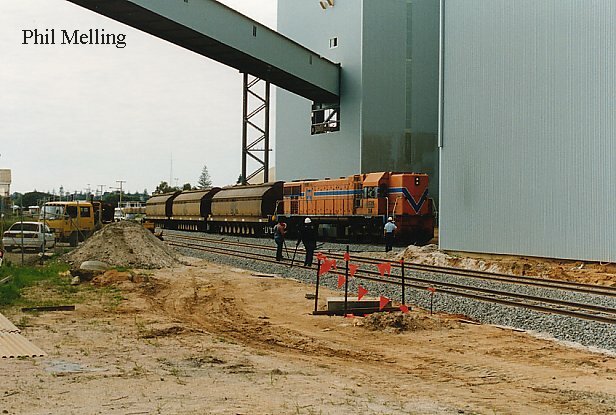 Although not a great photo, it features P2012 unloading grain at the new facility on 9 October 1994. This was the 4th train to unload at the new facility.